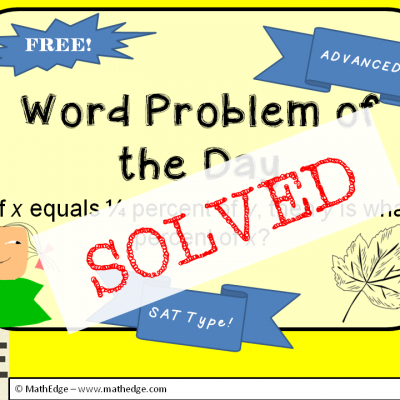 After a great Thanksgiving, Christmas, New Years and Valentine Day, I'm back to continue sharing unique word problems to help your students excel in math! Please click image to enlarge & please enjoy! 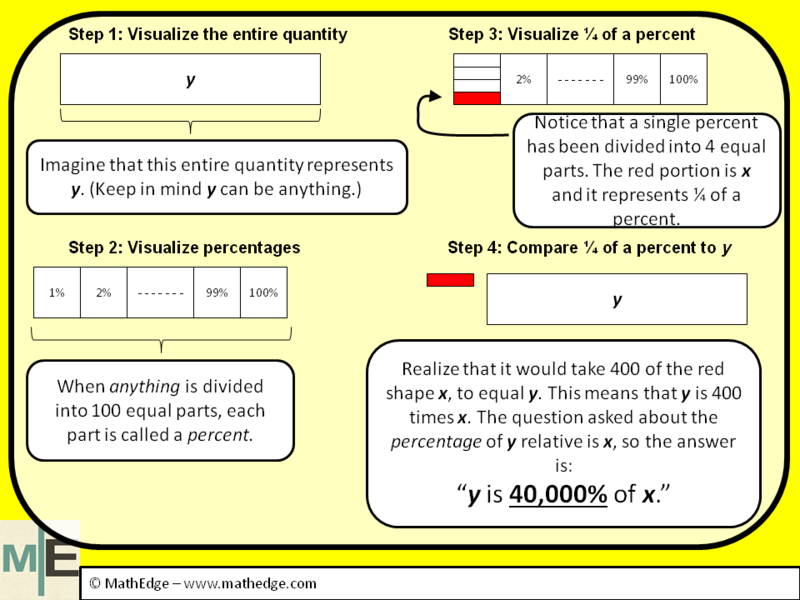 These types of percent problems are not typically found in your average math textbook. However they are sure to be on the various AP, aptitude, and gifted entrance exams your students will be taking. The key thing to remember in solving a problem like this is to remember the meaning of "percent". Let's say you are comparing two objects, quantities, or anything. If one object is twice the size of the the other object you could say "this object is 200% the size of this other object". When the comparison is conveyed in this way, students must be able to interpret that the meaning of the statement is that the first object is twice the size of the second object. 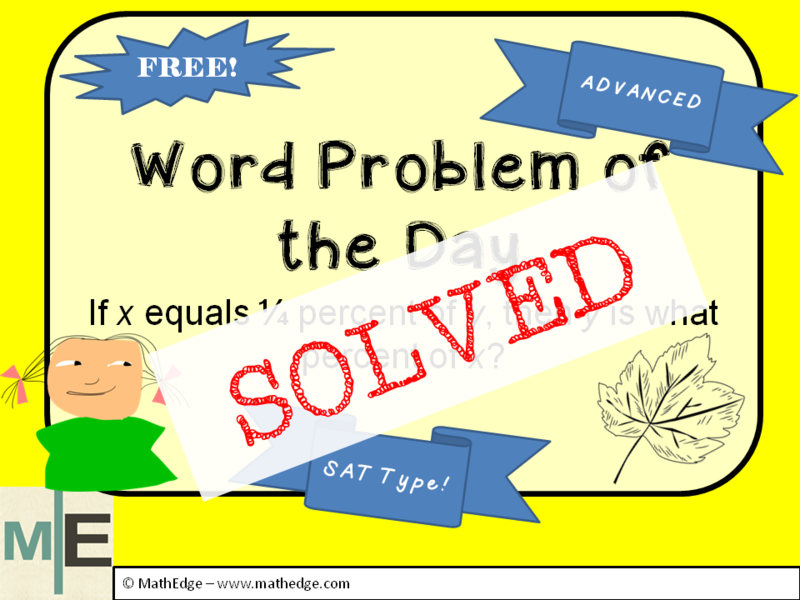 Once that concept is fully understood, then the same concept can be extended (in baby steps) to understand this SAT-type problem your students are sure to encounter in the future.